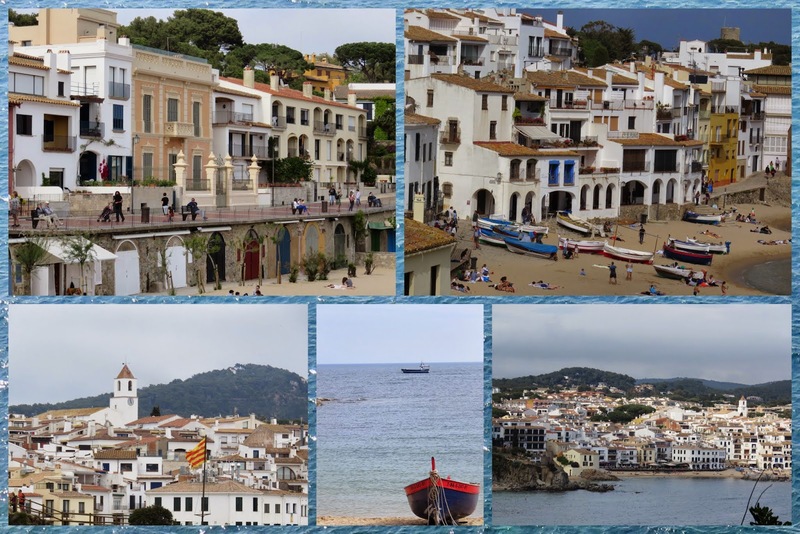 We had the opportunity to visit the small town of Palafrugell in Costa Brava, Spain when we attended the Travel Bloggers Exchange (TBEX) conference in May. The annual Flors i Violes festival was on so we got to see a vibrant side of the town that not many visitors have the opportunity to see. 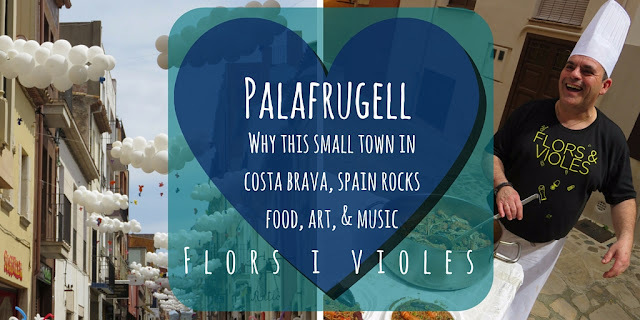 Palafrugell and the Flors i Violes festival were definitely the highlight of our trip to Costa Brava. 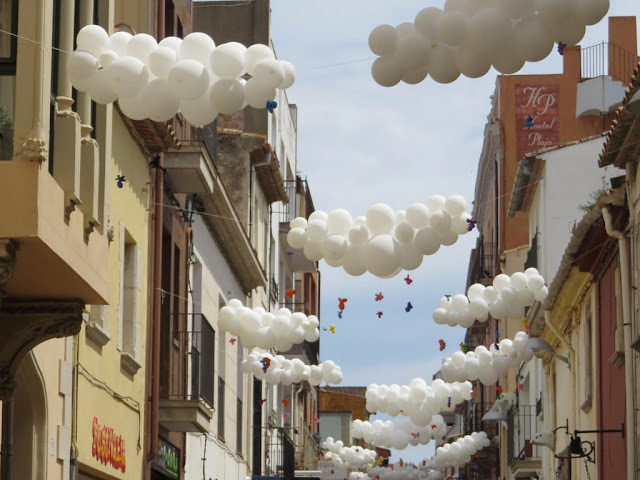 Here are eleven reasons why the small town of Palafrugell rocks for food, art, and music. 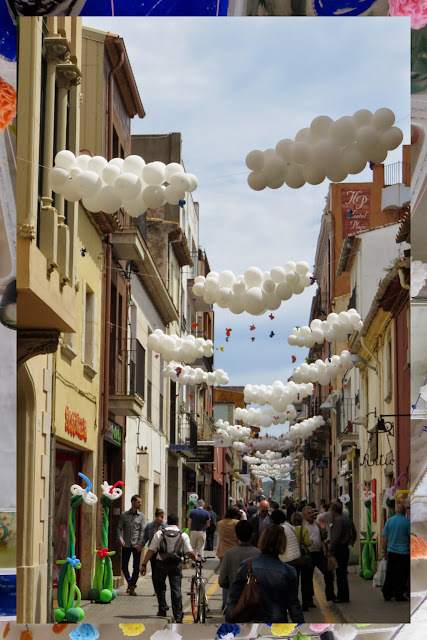 The narrow streets of the town were covered with whimsical decorations. Even though it was particularly sunny, happy little clouds made from balloons appeared on the scene. Flip flops and pinwheels graced other lanes. SIDEWALK SAFARI SPOTLIGHT: Interested in seeing more of Costa Brava but aren't sure where to start? Spend a day in Girona or Lloret de Mar. 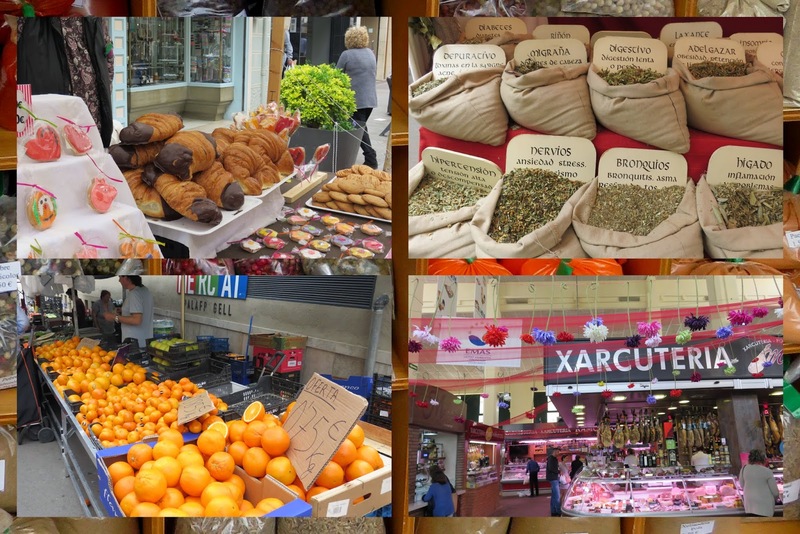 Palafrugell also features a massive open air market. We could have browsed for hours for produce, meats, tea, and more. I even sampled a chocolate dipped croissant as big as my head! In addition, vendors proudly displayed jewelry, toys, clothing, and other crafts. There was temptation at every turn. 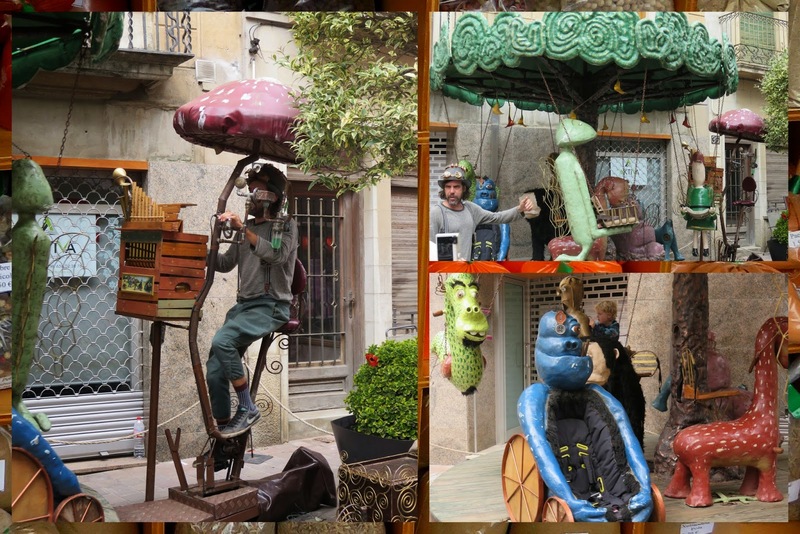 We got a kick out of watching this human powered steampunk carousel on the streets of Palafrugell! You can see it in action in the video below. 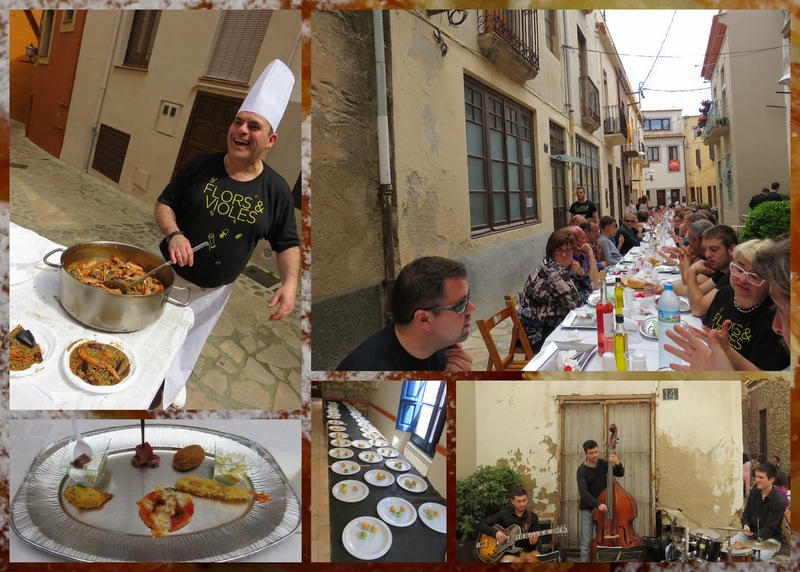 The absolute highlight of our trip to Palafrugell was a special lunch of regional favorite dishes served al fresco at a table that seats 100! We were hanging out with Bryan from The Wandering Gourmand and he happens to speak a little Spanish and managed to befriend the locals sitting next to us. A plate of tomatoes and bread was placed on the table. Augusti and his family showed us how to properly prepare the tomato bread by squeezing the tomato and rubbing it on the surface of the bread. By the end of the afternoon we were slapping each other on the back and generously pouring glasses of rosé to toast the lovely day and our new found friends. All this was happening with a lovely backdrop of live jazz. We're used to Irish weather and get a bit tired and fried if we get too much sun. 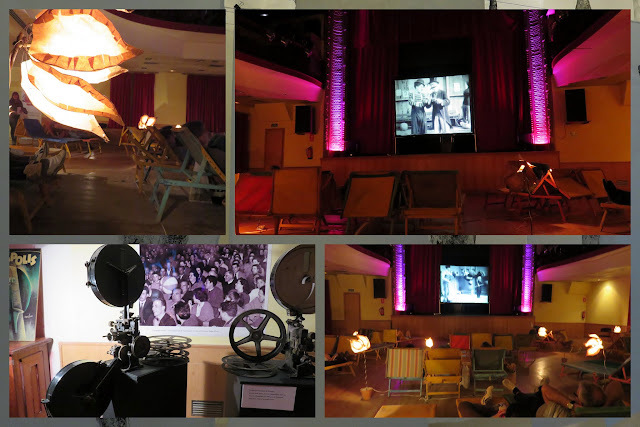 We wandered into a cinema with lounge chairs strewn about. We picked a seat and watched a bit of Charlie Chaplin schtick. Flors i Violes also featured a number of creative art installations. Marta, our guide from the Palafrugell tourism office, knew just where to take us. We particularly enjoyed this 'under the sea' exhibit. 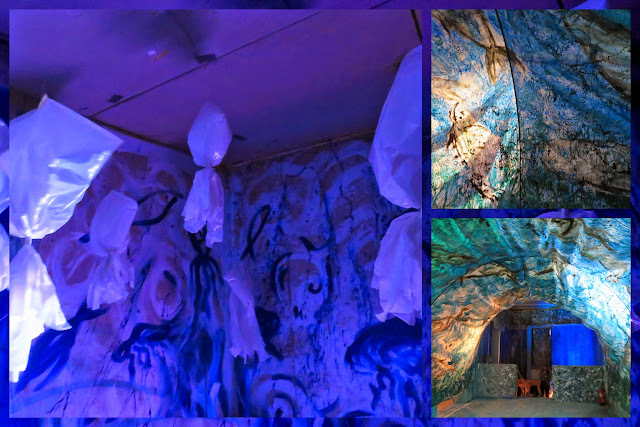 Speaking of the sea, how cool is this? 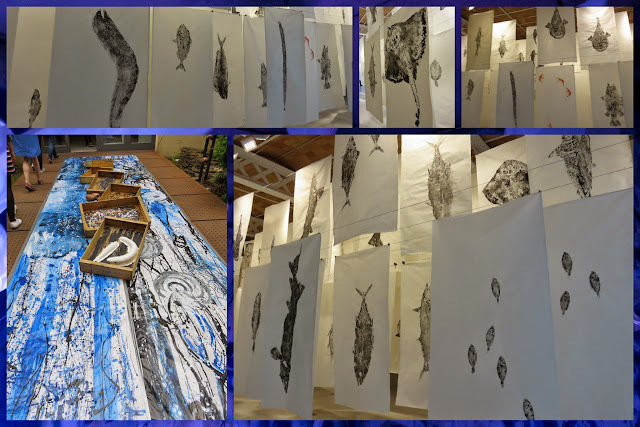 Another art installation featured pencil etchings prepared from actual fish. 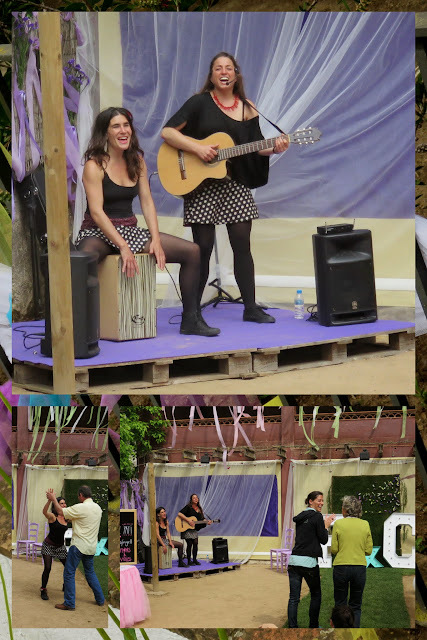 The music was definitely another highlight of our visit to Palafrugell and the Flors i Violes festival. Tucked away in various parts of the town were cozy patios. We enjoyed watching these two local ladies singing their hearts out. 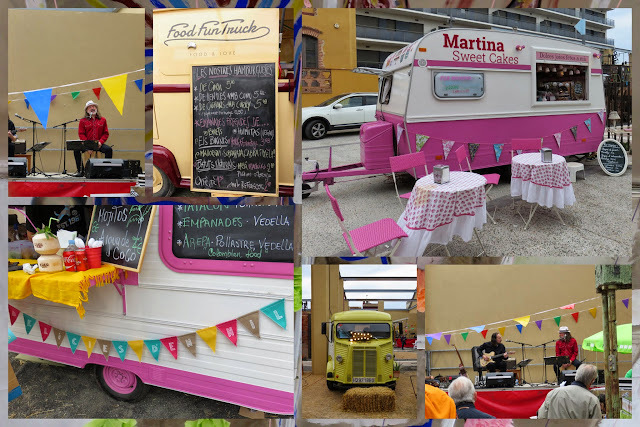 Food trucks seem to be the latest trend in Costa Brava. This particular patio featured food trucks and blues. We decided to take break from the festival and take advantage of the lovely weather to climb the local water tower and take in sweeping views of the city. After climbing a vertigo inducing spiral staircase we got our reward. The wind in our hair and gorgeous scene spread out below us was totally worth it. 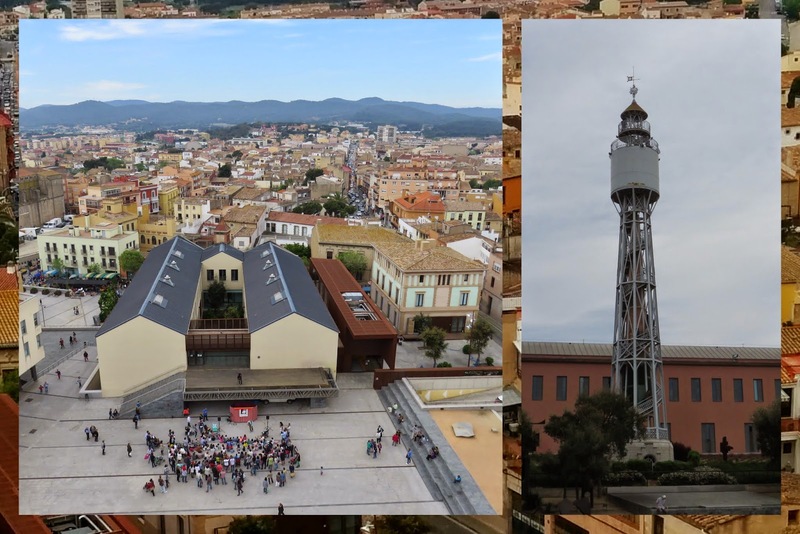 Built to satisfy the need for water for the burgeoning cork industry, the water tower is now a great vantage point to get above it all and take a break in Costa Brava. Palafrugell is located inland but it's just a short distance away from a trio of beach towns: Calella, Llafranc, and Tamariu. Our bus dropped us off near Calella and we walked along a beautiful path to Llafranc just a couple of kilometers away. We really appreciated the opportunity to have a more authentic experience in Costa Brava. Our memories of Palafrugell and the vibrant Flors i Violes festival will definitely stick with us.